Moving on from Miley. 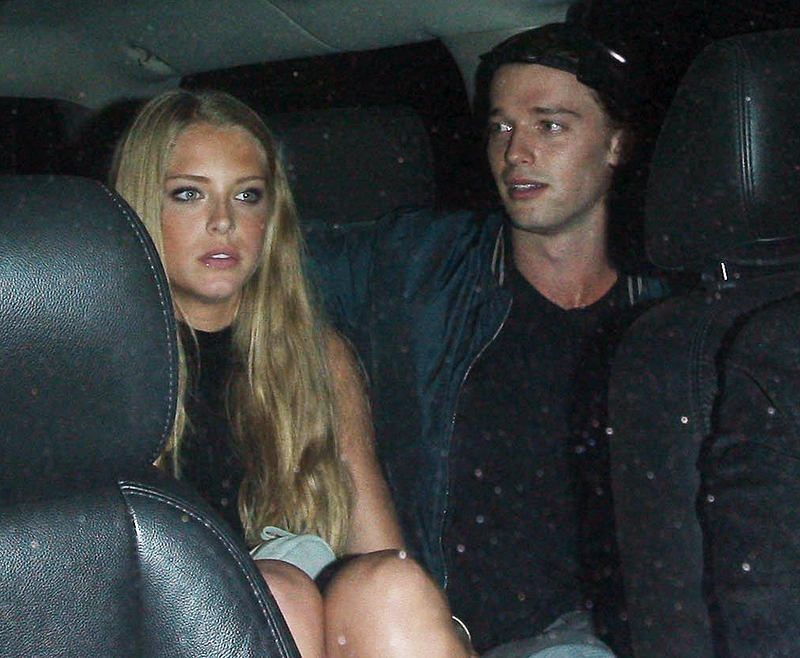 Patrick Schwarzenegger is dating a model named Abby Champion, a source confirms to Us Weekly. Arnold Schwarzenegger’s son, 22, has been seeing Champion, 19, for a while, the insider tells Us. The attractive duo were first spotted out together at West Hollywood hotspot the Nice Guy last September. Champion also joined the USC student at the 60th birthday bash for his famous mother, Maria Shriver, in November. On Friday, February 26, the Next Management model posted a photo with Patrick on Instagram. In the snap, he embraces her from behind while they both smile at the camera. Two days later, on Sunday, February 28, the two were spotted running errands in Los Angeles on Champion’s birthday. Patrick split from Miley Cyrus in April 2015 after dating for five months. Cyrus has since reunited with her ex-fiancé, Liam Hemsworth.